Twitter has really changed the way brands today are using the power of real time marketing to connect and engage their audiences. They are bringing new levels of creativity to the Twitter platform, and re-inventing the ways in which they reach out to their audiences. Brands are using Twitter's here and now abilities to connect with consumers in new and more direct ways than ever before. They are using techniques and a genuine, authentic tone of voice to serve their customers. Twitter empowers today's customer to challenge brands about their quality of service, timeliness, and how effective they are. Today's consumer is hugely involved and influential on Twitter, and brands are responding in quick, honest ways. There are great examples of new age customer service via Twitter. Dutch airline @KLM and its #happytohelp campaign is a classic. It's how brands have stepped beyond what one might expect from them and entertained and engaged customers through their interactions. Twitter really helps brands with Real Time Marketing. 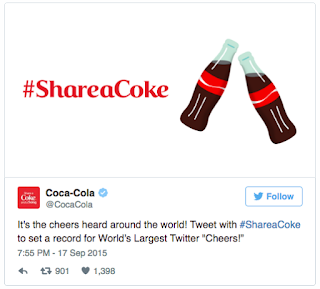 There are numerous examples of how brands use Twitter with real time, here and now content. Remember Superbowl and Oreo sending its “Dunk in the dark” Tweet? We have seen brands tell stories in new ways whether it is @UbisoftUK asking fans to create their own adventure or @British_Airways with its ingenious #RaceThePlane that unfolded in real time. Twitter allows for real time feedback. Marketing folks now have an immediate finger on the pulse of their audiences. This allows for real time decisions to change or improve their efforts. This is powerful. Twitter broadens the context for brands – providing unprecedented opportunities for brands to align with what's happening around them culturally. In our totally connected. here and now age, brands have used speed to be relevant when the moment needs them to be. It allows them to look at what their audiences want and to be there at that moment. Because today's consumers want solutions there and then (thanks to mobile), brands are able to respond with Twitter quickly and effectively. Think about the pace that brands now react be it to moments that involve them or wider culture. Think of @Pepsi at the Super Bowl with its war room as a great example. The in-the-news aspect of content, and content built around the news is a phenomenal side of Twitter. It allows connections and engagement in so many new ways that audiences can relate to. Video has exploded exponentially on Twitter. And brands are finding clever ways of using the power of video. The arrival of live video has added a new dimension, which allows brands to engage their audeince with moments as they unfold. Live moments and video, (@Doritos during this year’s Super Bowl or@Target and Gwen Stefani at the Grammys on Periscope) this that brings consumers closer, according to a blogpost from Twitter. Brands are really savvy today with data. They are discovering quickly what's happening around them, what their audiences and customers want. As in any social media, Customer Insights is your First Step in Digital Marketing with Twitter. Brands are either creating hashtags based on insights, or are riding ones that are trending and developing into icons. Hashtags are hugely functional tools for brands. They express an idea, a mood, a movement or a call to action. The hashtag is iconic of online communication and have today have migrated onto billboards, print ads and almost half the TV ads in the Super Bowl. 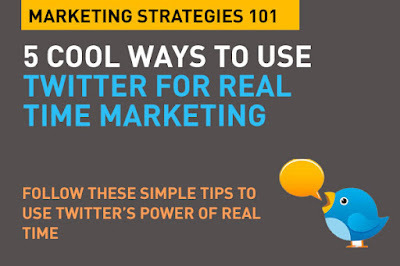 Yes, they are now on multiple platforms, but hashtags are synonymous with Twitter. "We have seen great examples of this. Look to @Pampers_UK and #everybaby as it joined the birth of the royal baby conversation. Or Coca-Cola as it became the first brand to launch a custom emoji on Twitter and extend its #ShareaCoke marketing into digital conversations." says Twitter. Today's most relevant social platforms are all about the here and now. Twitter offers brands a unique platform to engage people in direct, valuable, real-time conversations – and today that has become really relevant because Twitter's 'new position'. Twitter's mission on their website is: "To give everyone the power to create and share ideas and information instantly, without barriers." How do you use that power? Follow the best and learn. Real Time Marketing is a big trend these days, and brands are not just using Twitter, but Instagram and Snapchat as well, The entertainment and engagement factors are high because the content is so topical when done correctly. When every one predicted that Twitter was going to be a has been platform, brands have actually discovered the power of the 140c post in many creative ways, specially with video, which you mention. Being able to build content around the twitter hashtag is another great way that brands can truly create great content and build a whole story around that tag.